Euforia won it! because no title was on the line. Still, he’s good for a singles win every 18 months. Templario’s debut in a loss. Cometa is doing promos saying he wants a hair rematch. I guess that’s not impossible with Kid’s Day coming up, but a title match is always more likely. Black Terry Jr. posted photos of Arena Lopez Mateos. Octagon Jr. wrestled in the main event without issue. Ludxor says he got hurt earlier, and posted video of it. CMLL Informa’s 100 episode is this week, judging from the ticket giveaway. +LuchaTV has video of Canis Lupus’ injury on Wednesday. He loses his balance on the top rope and doesn’t get any distance on a plancha to the floor. 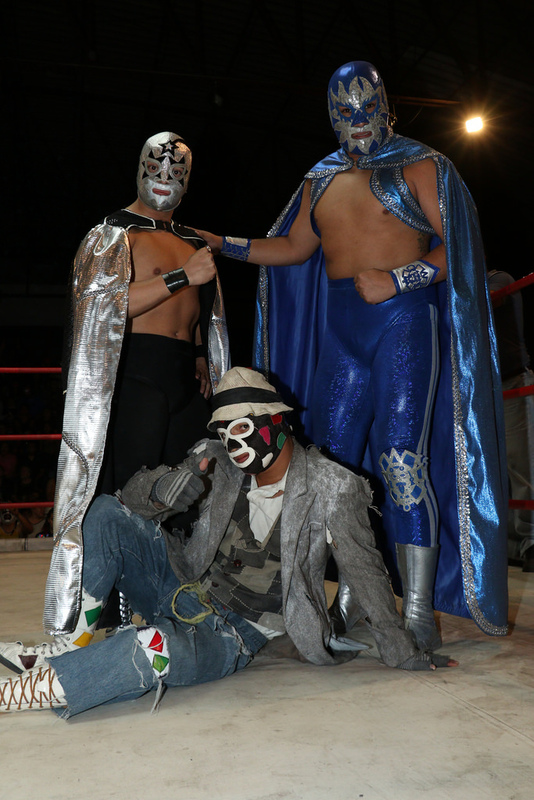 I was interviews on the Winter Palace podcast talking about recent lucha libre news. Super Libre had Magico on as guest. He probably ends sentences better. 4) Stigma vs Espanto Jr.
Maximo/Euforia over, but Euforia still on Saturday shows. No new names this week. Dragon Lee is listed, though that’s probably subject to change on Monday. Cavernario/Cometa continues, with the singles match probably happening the following week. Joker and Omar may be feuding in the main event, since they’re the repeat from tonight’s show.